Who’s who in designer wedding shoes? Christian Louboutin, Kate Spade, Jimmy Choo, Zanotti, Stuart Weitzman, Badgley Mischka? The list is endless. 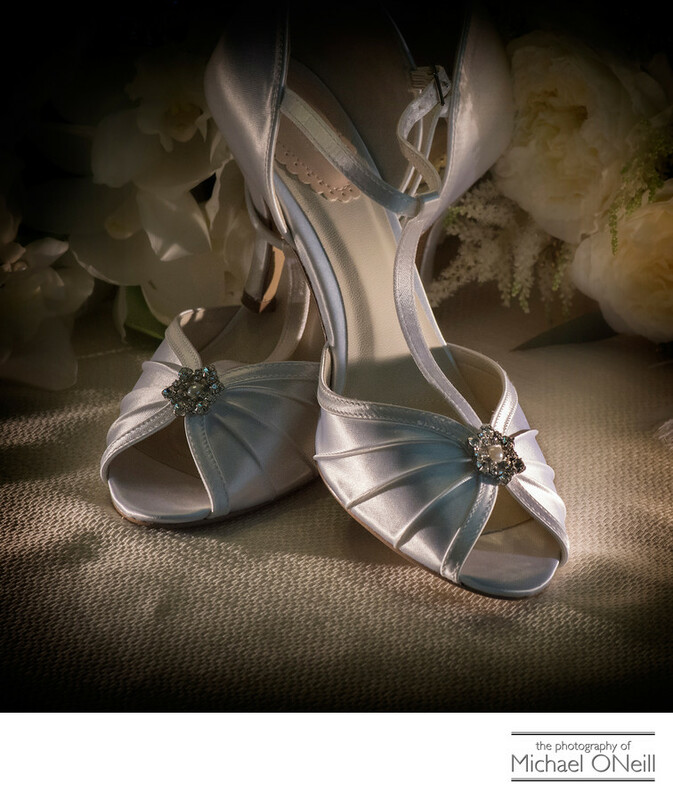 What they all have in common though is that some special bride is going to come to an important decision before her wedding day, and that decision is what shoe to choose to compliment her wedding dress and all of her other bridal fashion choices she’ll make for the day. My job as a fashion-conscious wedding photographer is to be sure to beautifully photograph all of the details of every bride’s wedding. We’re not just talking shoes here. There are literally hundreds of little details that you’ll decide upon to make up the theme and style of your wedding day. Flowers...from the bride’s bouquet to the bridesmaid’s bouquets. From corsages, to boutonnieres. Altar and chuppah flowers for the ceremony to the amazing table centerpieces that will grace your ballroom. Stationery such as invitations, save-the-date cards, menus and programs. The linens you choose for the tables at your reception to the lighting you choose to give the right ambience to the room. Your wedding cake and the utensils used to cut and serve it. Jewelry for the bride the groom and their bridal party members. The list goes on and on and on. Be sure that your wedding photographer is passionate enough, skilled enough, motivated and fashion conscious to be sure that all of these details are documented for a lifetime of memories.